One of the top objectives for Housing 2017 was to grow attendee numbers back to the heights of previous years. After 26 years at Harrogate International Centre, the Housing conference and exhibition moved to Manchester Central in 2012. Objectives for this year were to reinvent the excitement, create a beginning, middle and end, and grow attendee numbers back to the heights of previous years. Research prior to the event showed that the audience attends for two main reasons: high-level inspirational content and networking. 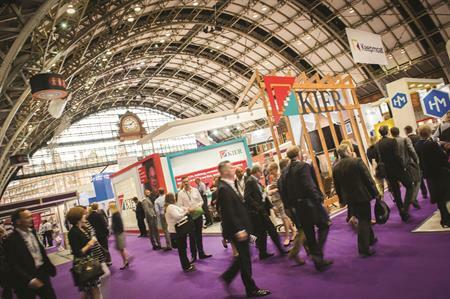 At Housing 2017 there were more than 60 networking events, all outside of the main conference timings - from drinks receptions to speed mentoring on equality and diversity in the sector, and champagne beer tasting to government roundtables. Everyone was invited to at least 15 networking sessions each. Music was played in the hall for the final hour of each night for 'happy hour'. The traditional awards ceremony was given a revamp, beginning with a community choir and ending with Rockaoke. Attendee apathy was a crucial hurdle to overcome. With no clear government speakers, the company needed to create a vision without a ministerial address. This was important following the 2016 event which had a start date three days after Brexit. The new format offered something much fresher, more exciting and more inclusive for all. "We were delighted with the venue, the city, Marketing Manchester and our key stakeholders. We needed to reinvent the event from a low in 2016 and everyone involved pulled out all the stops to guarantee we will serve the sector for another 60 years," said Sarah Payling, event director at Ocean Media.